Streaming audio allows you to listen to music as you download. This is different from the usual audio file, which must be downloaded completely before listening. So you save your time and you do not have to worry about the free space on your disk. Streaming services take into account user preferences and social aspects, allowing you to listen to music for your taste. Another form of streaming audio is music on demand, when the user chooses the song himself. Usually this service is either paid, or limited by the number of songs listened to. Currently, streaming audio is used everywhere - for podcasts, news, audiobooks. Most of the music services are implemented in such a way that it can only be listened to, but not downloaded. This gives the technology a resemblance to traditional radio broadcasts and at the same time is a major drawback. To listen to your favorite melody, you need a permanent connection to the Internet. If you lead an active lifestyle and like to travel, then this becomes a problem. If you are busy at work, you can miss an interesting radio program. There are many ways to capture streaming audio, using browser plugins or audio editors, but they all have significant drawbacks. Let's see what special programs for recording streaming audio can offer us. This program is designed for beginners. It selects most of the settings automatically, saving you from reading the manuals. You can start recording right after installation. What else does this program offer us and what is its advantage over free alternatives? First of all, it's an integrated scheduler. It allows you to open a site with streaming audio at a given time and record your favorite music. 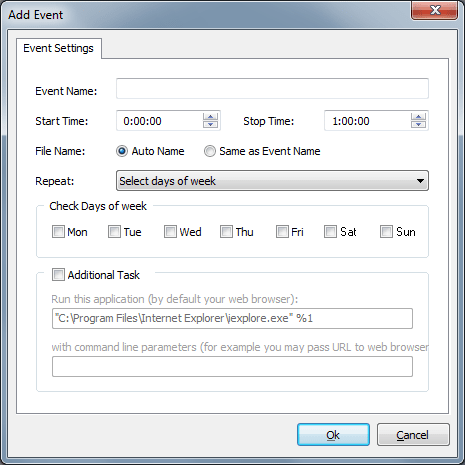 For example, you can set up the scheduler so that the recording is repeated every Tuesday from 10 am to 11 am. The second, no less important, advantage is the smart splitter, which allows you to split the record into separate tracks and cut short commercial breaks. 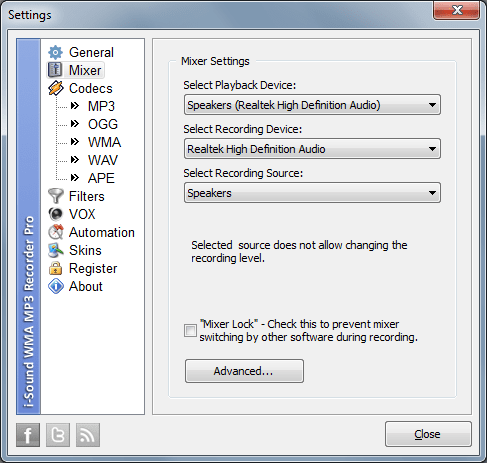 This program is an advanced version of Streaming Audio Recorder. It allows you to fine-tune the compression settings, automatically control the recording level. In addition, the program allows you to record music from different sources, such as line-in or microphone. Both programs are equipped with a Recording Browser, which allows you to listen, delete, rename recordings, send them by mail, add to iTunes. You can also download and install free audio editor edd-on that will allow you to apply a variety of effects to your recordings. What audio streams you can record? What popular streaming services supported? Click the "Settings" button to select output folder for audio files and select output format. Adjust the recording level for the highest possible performance. We recommend the 70% of maximum by VU-meter to avoid clipping. Click the "Record" button when you're ready.